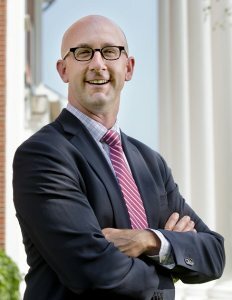 Josh McIntosh oversees all aspects of student affairs, including accessible education, athletics and recreation, counseling and psychological services, health education and wellness programs, health services, international student programs, off-campus study and study abroad, Purposeful Work, residential life and housing, security and campus safety, student conduct, , and student activities. He came to Bates in 2014 after serving as the dean of academic services at Johns Hopkins University. Prior to his work at Johns Hopkins University he served as the associate dean of the college at Harvard University. His work in higher education has included overseeing student services areas, financial management and planning, human resource management, policy development and assessment and research. He earned his Ph.D. from Syracuse University and his B.S. from Elon University.